Brad Barry gets a shot in. John Sheridan described today's 4-1 scoreline as 'unfair' on visitors Maidstone but he certainly wasn't grumbling. 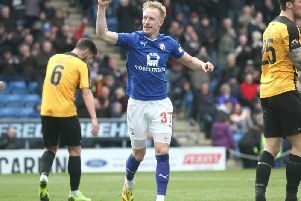 Chesterfield scored twice late on to put a more emphatic look on the result, but it was largely an even game, in which both sides missed chances. Maidstone, already confirmed as relegated, put up a spirited fight and earned Sheridan's admiration. "Credit to Maidstone they made a good show. a team that's relegated, they came and gave us a right game. "At 1-1 we were lucky to find ourselves still in the game. "I thought we started alright, possibly could have got another. We've ended up winning comfortably but we've allowed them too many opportunities. "We could have scored five or six, they could have scored four. "We rode our luck a little bit. 4-1 is an unfair result but I'm very pleased to score four goals. And to keep winning at home." Sheridan has said more than once that he still doesn't feel the Spireites have played brilliantly since he came in, but what they have done is claw their way to vital results. In his 17 games in charge, they've won 10 and drawn three. 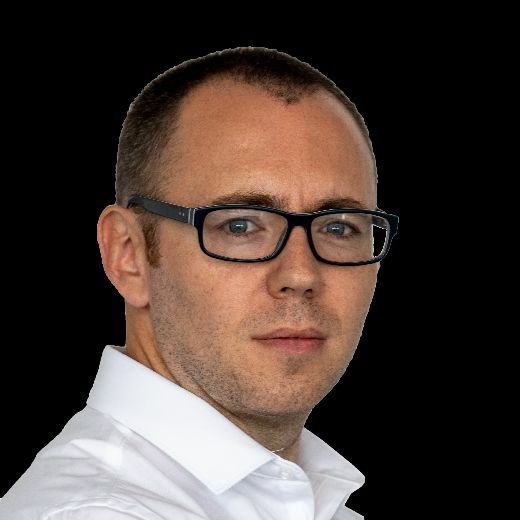 He's led them to 12th in the table, having taken over a side in the bottom four. "I don't think we've played that well since I've come but we've got a bit of steel and determination about us," he said. "The goals we've scored are good goals but we should be doing things a lot better. "We've come out winners again so I'm not going to moan and begrudge us winning 4-1. "Once we get pre-season, everything will be a lot more thorough once I get a grip of the players. "We can definitely be a force in this league next season." What did please Sheridan today was the quality of some of his side's goals. Scott Boden provided his trademark poacher's finish, Ellis Chapman showed lovely skill before forcing an own goal and Laurence Maguire thumped home from 25 yards. "Scott's was a great finish, Laurence's was a great strike, Chappers has done well," said Sheridan. "Young Ellis has been magnificent, he's only 18, he's going on to bigger and better things in my eyes. He's done really well." Boden's goal was a result of his burgeoning partnership with targetman Tom Denton.Denton headed down a Will Evans' high ball and Boden swivelled to finish it off. "Both of them have done well," said Sheridan. "Bit Toshack and Keegan, if you can remember them. "Scott is a poacher and Dents is a big unit up there. "He didn't start too many times regularly for me but once he got back in the team he's worked hard and done well, full credit to him. It's important we play to his strengths."